A few weeks ago I went to Elmwood Spa and received a very disappointing Vitamin C facial (my second trip there and my second time being very disappointed, I shall never waste my money there again). So I was still looking for a way to bring some life into my dull tired dry skin. 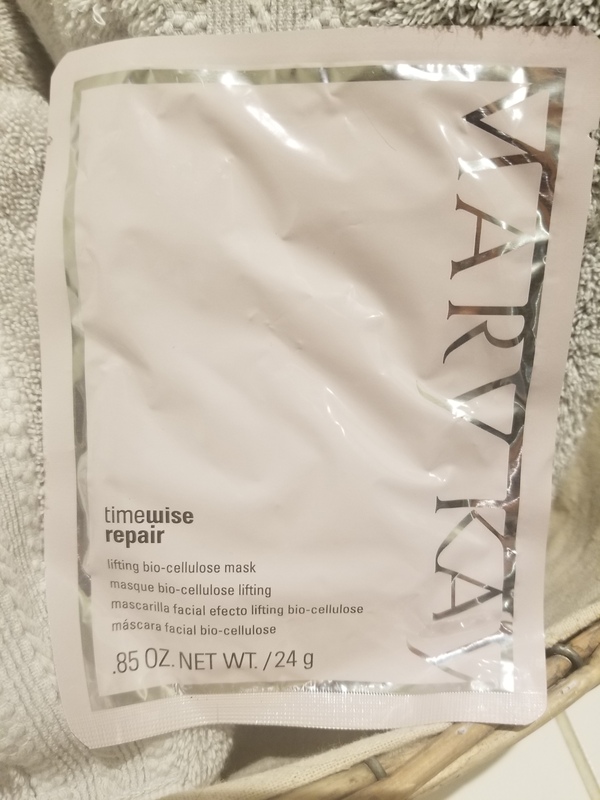 When Beauty Vixen told me about Mary Kay’s TimeWise Repair Lifting Bio-Cellulose Mask my interest was peeked. Increases skin moisture levels for 24 hours. This is, hands down, the best at home mask I have every tried – and about a million times better than the Vitamin C “facial” I had. Seriously I was blown away at how awesome it is. 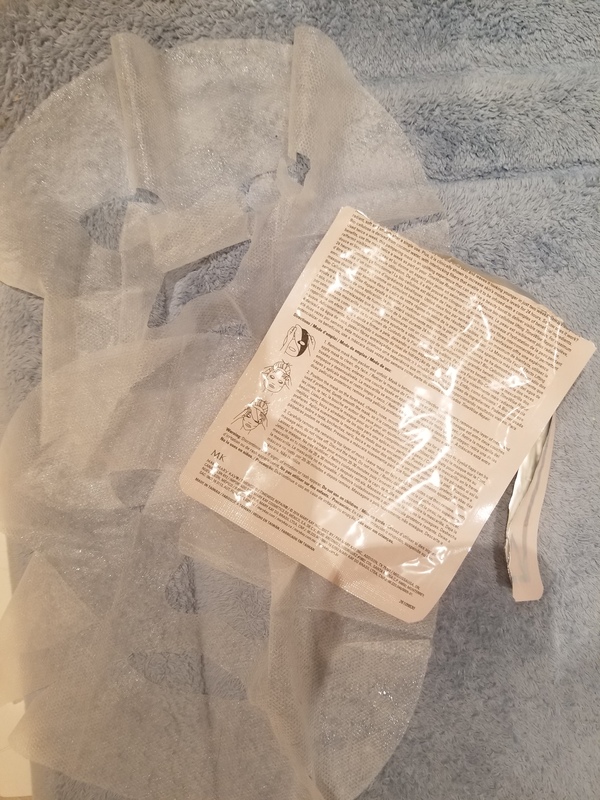 The mask is held between 2 face sheets which need to be removed before applying. It has a gel texture that hugs your face and is cooling and soothing. I kept it on in the tub (with a nice glass of wine) for 20 min and it was very relaxing. 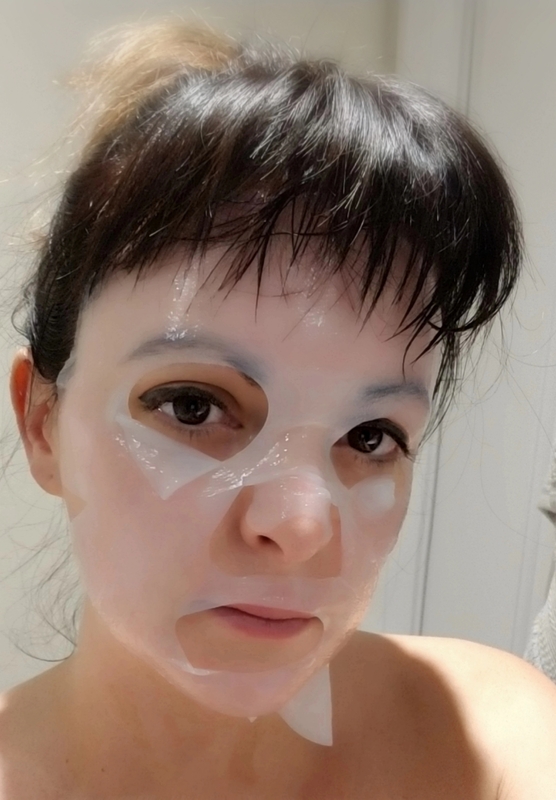 When I peeled off the mask it took with is dead skin cells and impurities that had been stuck in my pores. My skin was left hydrated, soft, and glowing. I don’t think my skin has been that happy with a product in years! I know the mask is pricey ($70) $70 for 4 -but it’s worth every penny – and is cheaper than a trip to the spa! 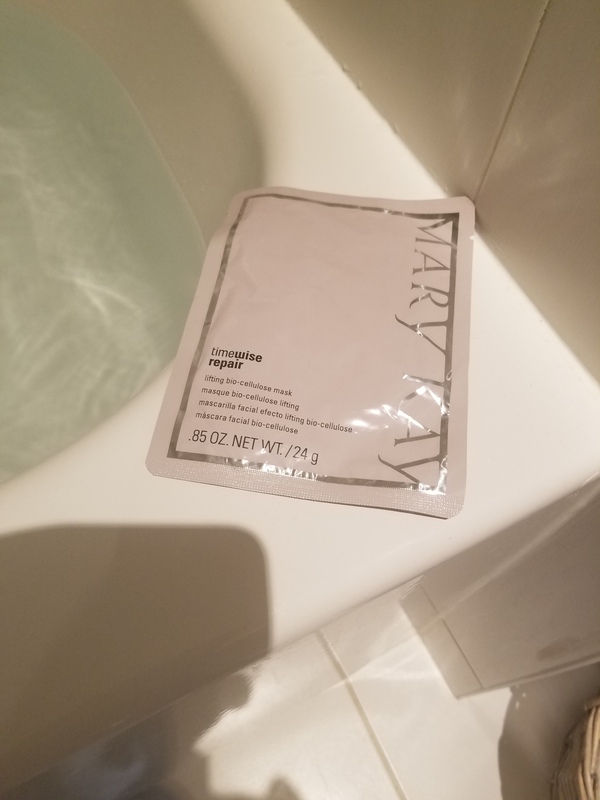 This entry was posted in Beauty and tagged anti aging, bio-cellulose, face mask, facial, love your skin, mary kay, mask, repair, Skin, skin care, timewise by maldham. Bookmark the permalink. Woah $70 for one mask? No, there are 4 in the package!!! Thank you – I have updated since I wrote it wrong.